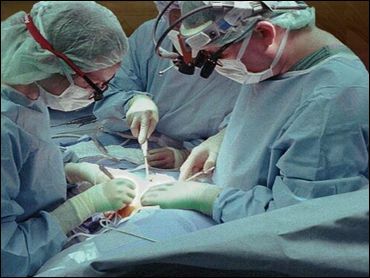 Three hospitals diagnosed some patients as more ill than they were in order to hasten their liver transplants, state and federal officials said Monday. One patient at the University of Illinois Medical Center who was certified as seven days from death was discovered in a hospital lobby wearing a clown costume and putting on a show to support a blood drive, officials said. Some patients were unnecessarily placed in intensive care and were diagnosed as far sicker than they were, officials said. "Organ donation can be a matter of life and death," said Illinois Attorney General Lisa Madigan, whose office filed suit along with the federal government. "There is no room for fraud when it comes to deciding which patient receives an organ." The three institutions were the University of Chicago Hospitals, Northwestern Memorial Hospital and the University of Illinois Medical Center at Chicago. The University of Chicago and Northwestern agreed to settle, while not admitting wrongdoing. The state and federal governments asked a federal court to force the University of Illinois Medical Center, which has not settled, to pay $3 million in damages. Its spokesman, Mark Rosati, said that "our physicians acted at all times with the utmost concern for the welfare of patients very ill with liver disease." He said talks with the federal government are continuing. The case against the Chicago-area hospitals stems from a whistleblower suit filed in 1999 by a University of Illinois Medical Center surgeon who said the hospital demoted him and cut his pay after he complained. The suit was unsealed for the first time Monday. The University of Chicago will pay $115,000 and Northwestern Memorial $23,587 under terms of their settlements. A spokesman for the University of Chicago Hospitals, John Easton, said that "contrary to the government's allegations, the hospitals believe that all decisions about patient care were completely justified." A Northwestern hospital spokeswoman, Kelly Sullivan, said it agreed with the need to investigate the allegations. But she added: "We strongly disagree with the government's position regarding those charges, including any suggestion that intensive care unit coverage of two critically ill patients, comatose and suffering from liver failure, was unnecessary."